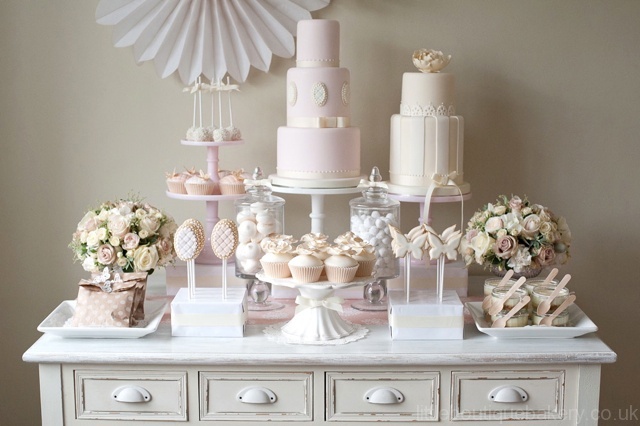 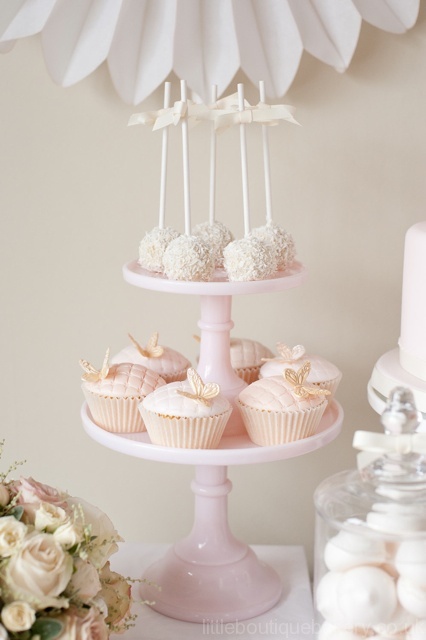 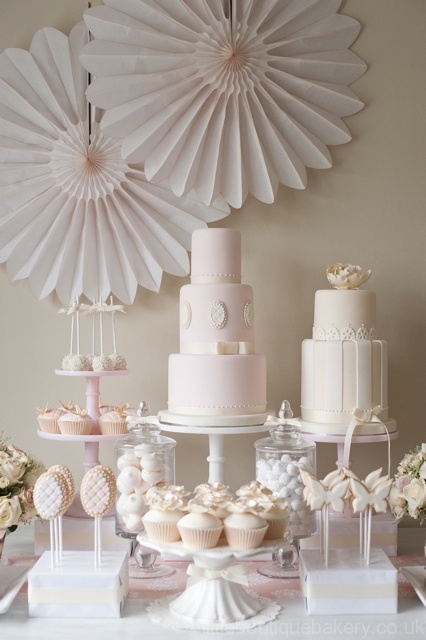 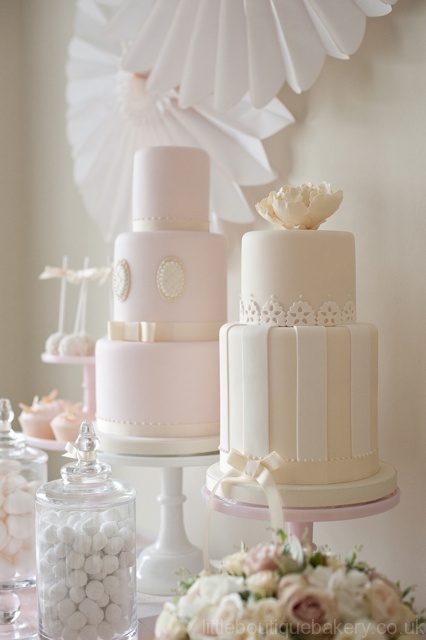 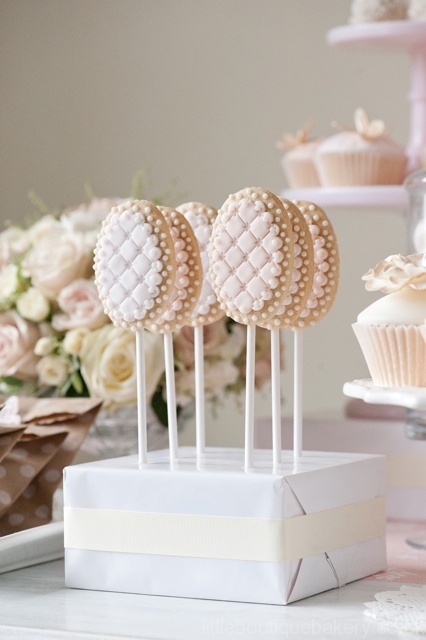 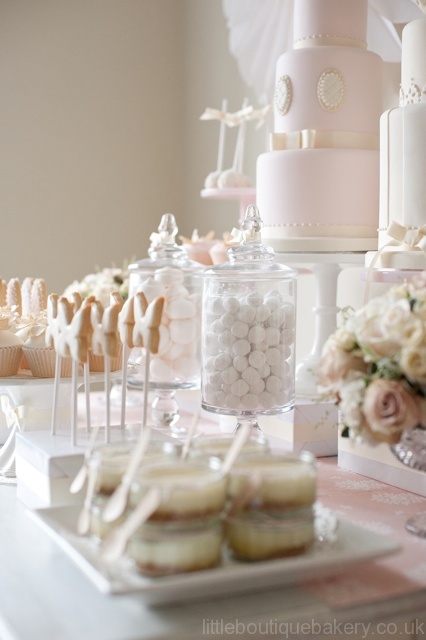 A beautifully styled dessert table is the perfect focal point for any celebration. 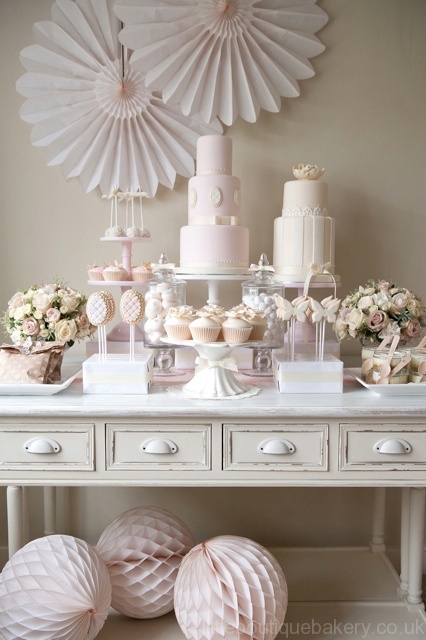 This is an ivory and blush wedding dessert table I recently styled and created. 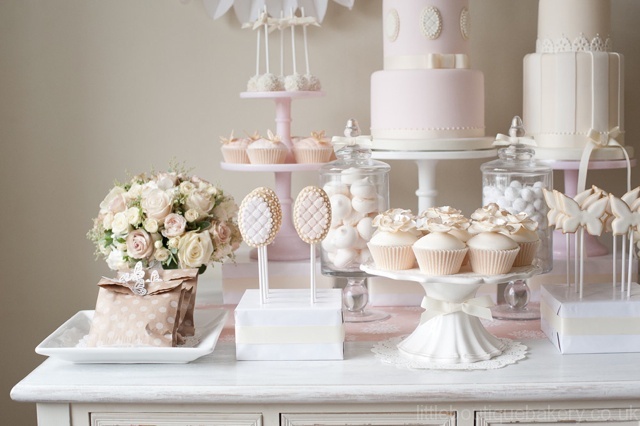 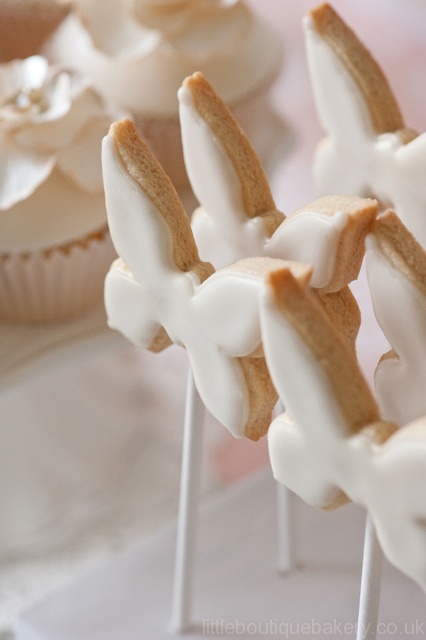 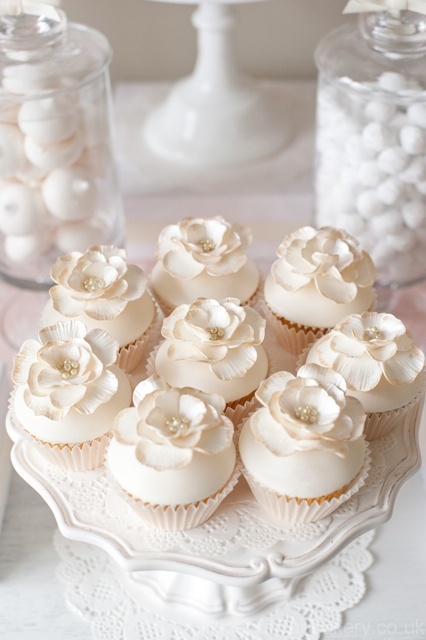 It can be a stunning way of serving an array of desserts including cakes, cupcakes, cookies and confectionary together in a coordinated and styled manner to suit your event and to tempt and wow your guests. 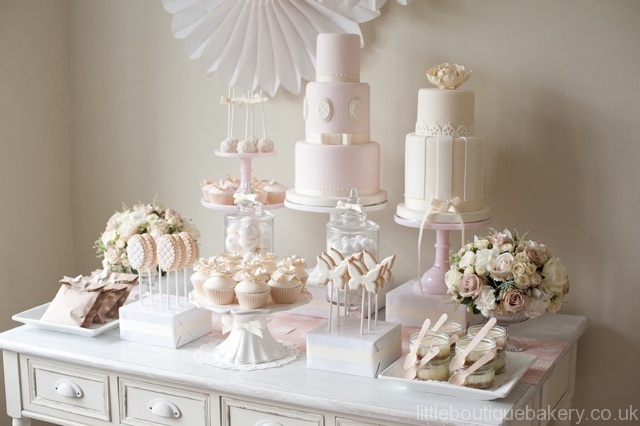 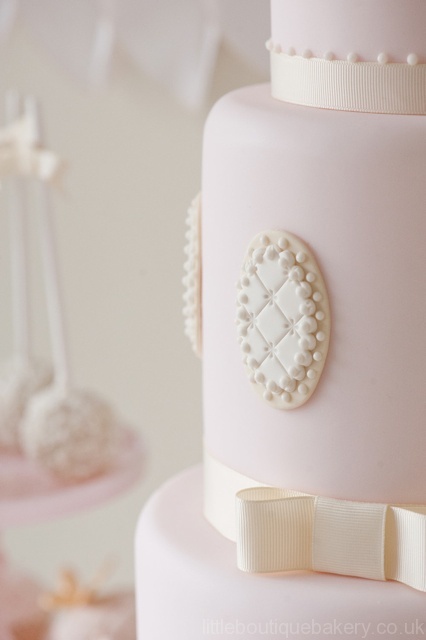 Cakes, desserts & styling Little Boutique Bakery. 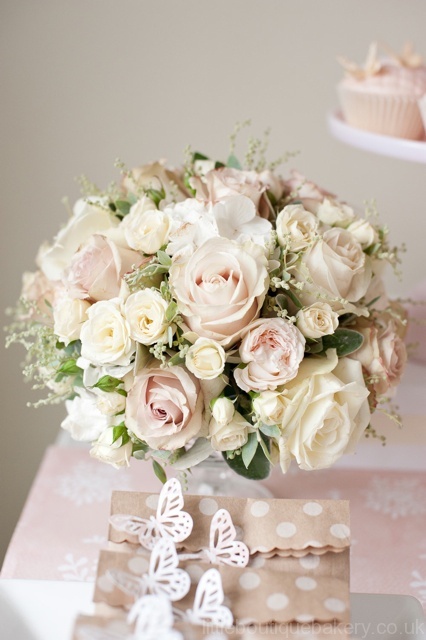 Photography Fiona Kelly, Paper party products Peach Blossom, Flowers Florist in the Forest.